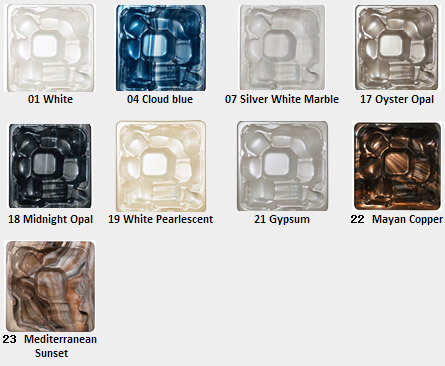 The largest hot tub of Gemstone Series is the St Clair. A large 7 person hot tub with single lounger and a total of 77 Jets. There is an interconnecting seat in St Clair, which features its own 2 jets foot massage feature. The St Clair also has a non-slip cobbled step, designed to allow each use to go to their own seat without interrupting other users. Comprised with fountains, LED lights and state of the art designs. The St Clair proves to be our greatest party tub yet.